I am so excited for my readers today! I have another amazing giveaway for you all. Recently I reviewed the Luscious Lip Couture in En Vogue, a really pretty pink shade. I am in love with this product! I have been wanting a dupe for my Bare Escentuals Pretty Amazing Lip Color that I reviewed months ago here for the longest time and this is comparable to the high-end brand. 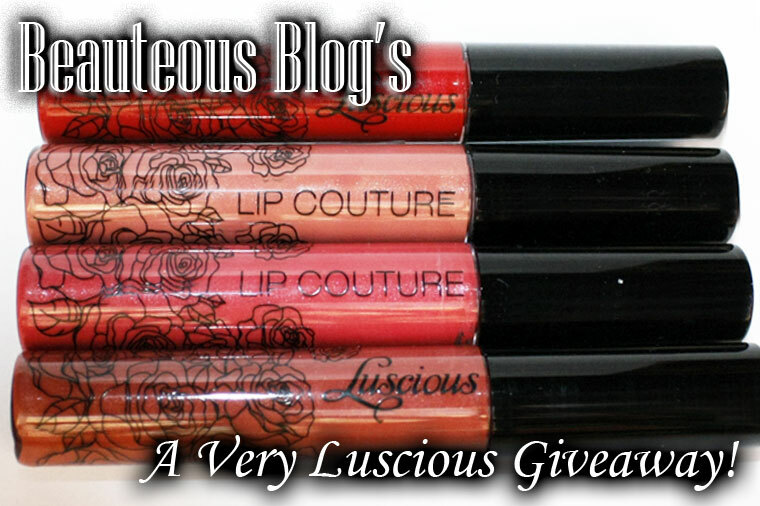 So Luscious has given me 4 Lip Coutures to giveaway to one lucky fan! 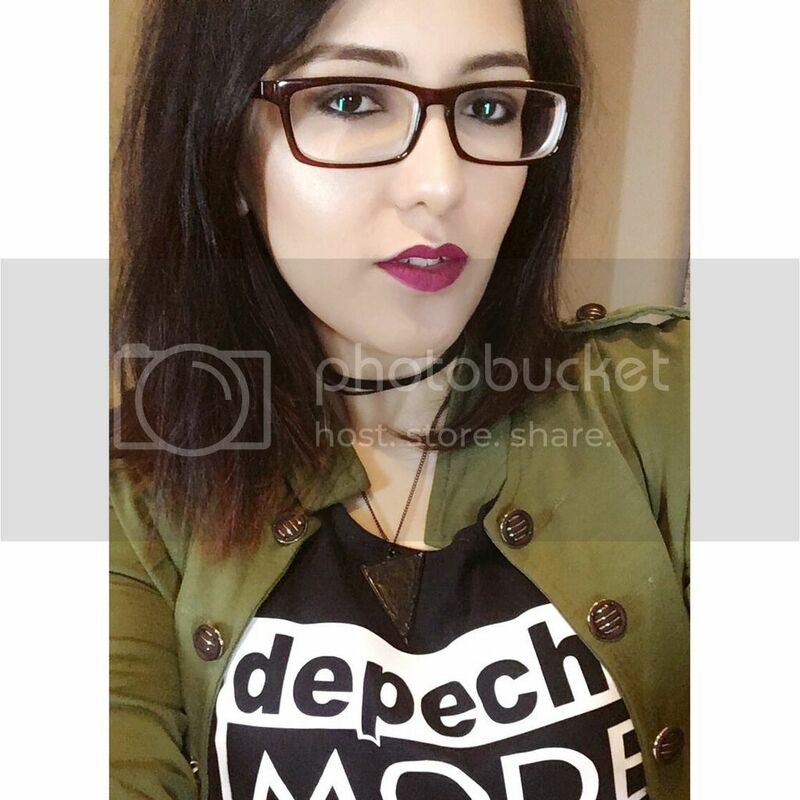 The item up for grabs! If you do the optional extra entries you can NOT leave the form blank. Refer a friend to this giveaway. Your friend must mention your name in the form. 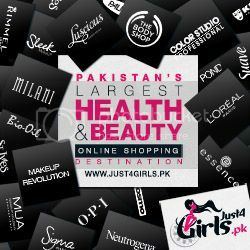 The giveaway starts today 25th January 2012 and ends on 25th Febuary 2012 and is open WORLDWIDE. The winner will be selected through Random.org. The winner will be contacted by email and must respond within 48 hours with your choice of products or another winner will be chosen. Please note that comments in this post do not qualify as entries, you must leave them in the widget so I can easily check. If Rafflecopter isn't loading for you then I will make an exception. 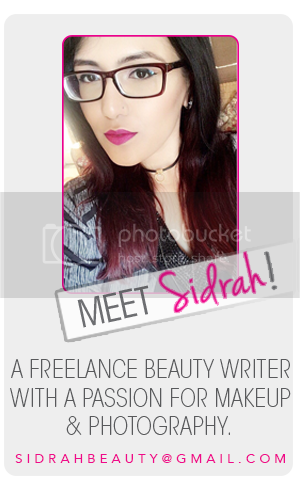 Done, Wow really awesome blog i just love ur sharing Please share more :) Thanks for share. Enter me please,filled the form. Lovely giveawayyyyyy...love it :) & i love luscious toooooo. Lovely lipsticks. I'm looking forward to winning those stuffs. did all that needed to be done!